Grand Lake is vibrant, exciting and filled with social with activities for everyone. As a member of The Club at Grand Lake you’ll enjoy an amenity package that is fit to your lifestyle. The club has been a rich engaging resource for the entire family, and perfectly designed to offer its active members a superb quality of life. Featuring a 21,000 square foot clubhouse, the Club is a resort center for the members to escape from their daily routines. Grand Lake is host to many community gatherings, social clubs, private member parties, holiday celebrations, and children’s activities. To learn more about the Grand Lake lifestyle, contact our office at 912.233.2466. 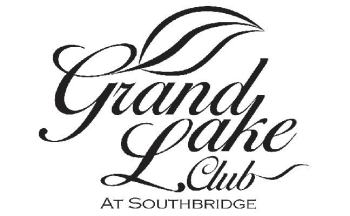 Grand Lake at Southbridge distinguishes itself as your “home away from home” by specializing in personal recognition and attention to detail. Our goal is to make every visit relaxing and enjoyable. We have a passion for exceeding Member expectations and we take pride in providing an unparalleled level of service. Grand Lake at Southbridge amenities include a fitness center, a unique restaurant, a pool and spa.